Jennifer Napaljarri Lewis was born in 1962 in Areyonga, an Aboriginal community located in a valley of the Macdonnell Ranges approximately 220 km south-west of Alice Springs in the NT. Her father was Jimmy Luritja, a stockman working on Angus Downs. She attended the local school in Areyonga before studying at Yirara College, an Aboriginal boarding college in Alice Springs. On her return to Areyonga she worked for the local council. While living in Areyonga she met Nancy Napanangka Gibson’s son Colin Jakamarra Gibson, who was visiting Areyonga from Nyirripi. 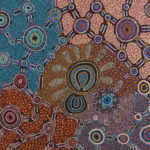 Nancy is a well-known artist who works with Warlukurlangu Artists. When Jennifer married Colin, she moved to Nyirripi to be with her husband. They have two children, a son Jeremy and a daughter Samantha. Jennifer has been painting with Warlukurlangu Artists Aboriginal Corporation in Yuendumu, a remote Aboriginal community 290 km north-west of Alice Springs, since 2009. Jennifer belongs to the Pitjantjatjara people and her traditional land is Mutitjula at the eastern end of Uluru. 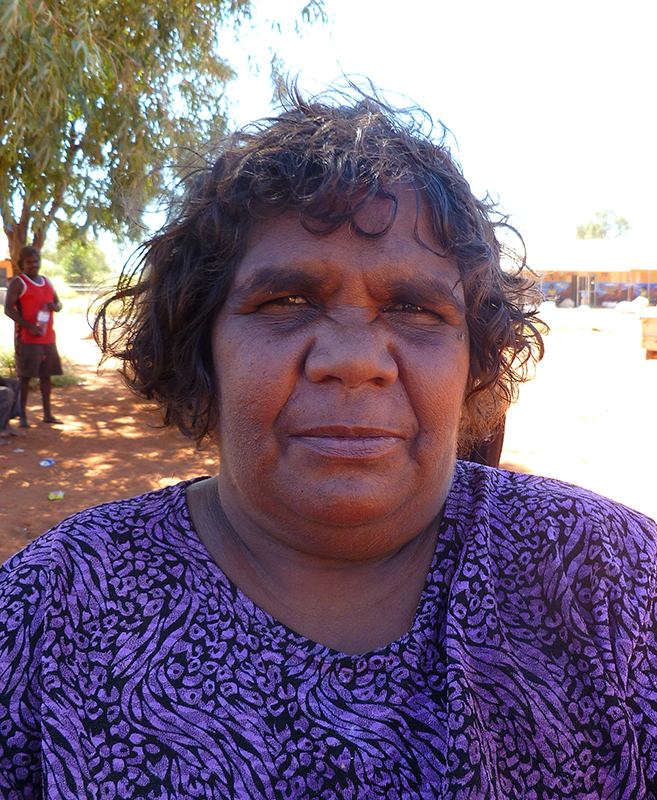 She has a close connection with the Mutitjula Community and it was there that her family taught her to paint. She loves painting and uses an unrestricted palette with traditional patterns and design integrated with a modern individualistic style to depict her traditional Jukurrpa stories. When Jennifer is not painting she likes to be involved in sport or visiting her family in Areyonga or visiting her sister who lives in Alice Springs.